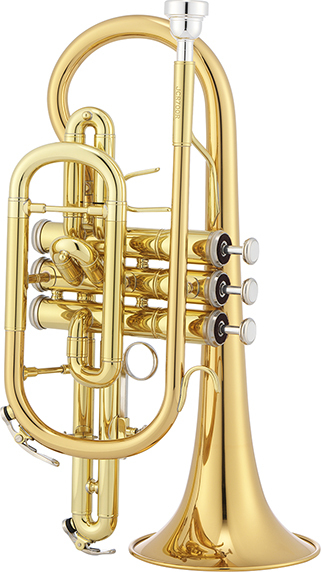 The Jupiter JCR700 Bb Cornet is the ideal instrument for beginning students or those wishing to join a community brass band. It comes standard with a shepard's crook, medium large bore, stainless steel pistons, and a 1st valve slide saddle. 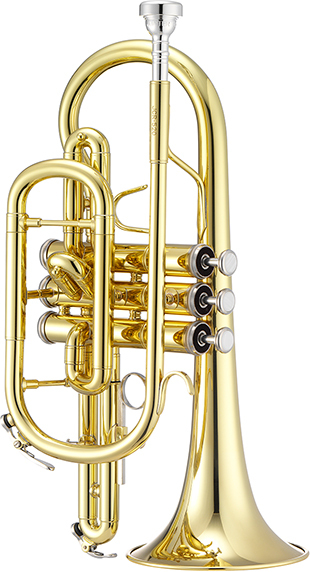 The Jupiter JCR700R Bb Cornet is the ideal instrument for beginning students or those wishing to join a community brass band. It comes standard with a shepard's crook, medium large bore, stainless steel pistons, and a 1st valve slide saddle. 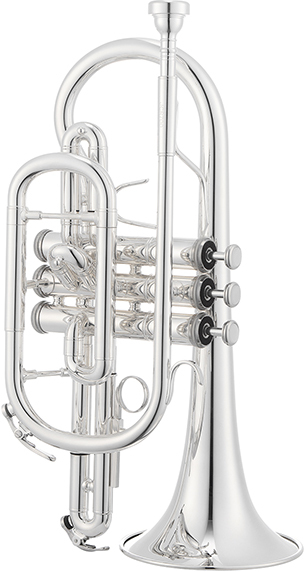 The Jupiter JCR700RS Bb Cornet is the ideal instrument for beginning students or those wishing to join a community brass band. It comes standard with a shepard's crook, medium large bore, stainless steel pistons, and a 1st valve slide saddle. The Jupiter JCR700S Bb Cornet is the ideal instrument for beginning students or those wishing to join a community brass band. It comes standard with a shepard's crook, medium large bore, stainless steel pistons, and a 1st valve slide saddle.